Seamless vector texture. Tribal pattern. Seamless floral pattern. Flowers texture. Daisy. 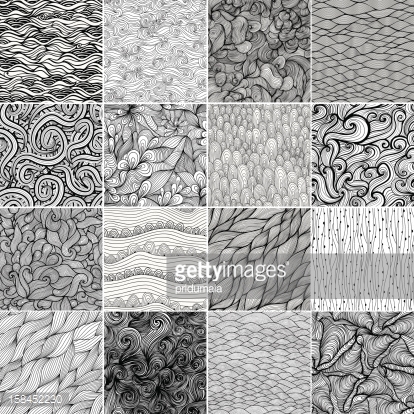 Set 3 Sixteen black and white wave patterns (seamlessly tiling).